Use to create tranquil environment and quiet the mind. 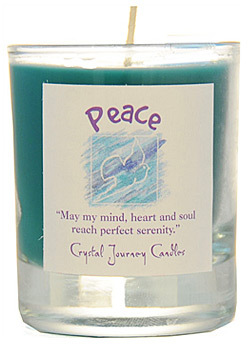 Use in combination with Harmony candle to create a loving home environment. "May my mind, heart and soul reach perfect serenity."